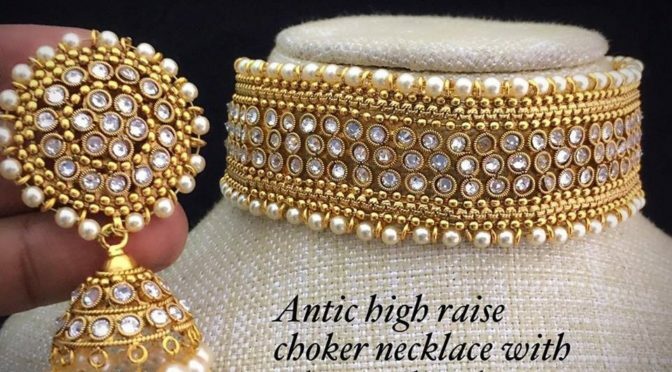 Pearl and stone choker set with matching jumkhas! One gram gold necklace with Lakshmi pendant! 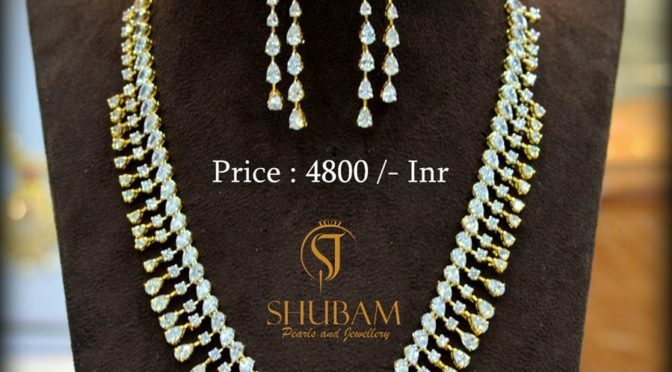 One gram gold necklace with Lakshmi pendant with matching ear rings! 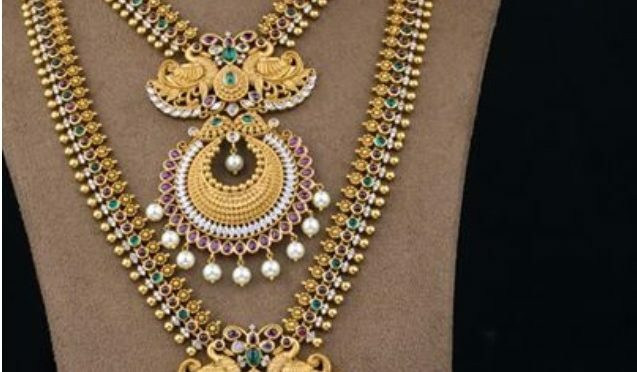 One Gram gold Lakshmi kasu necklace! 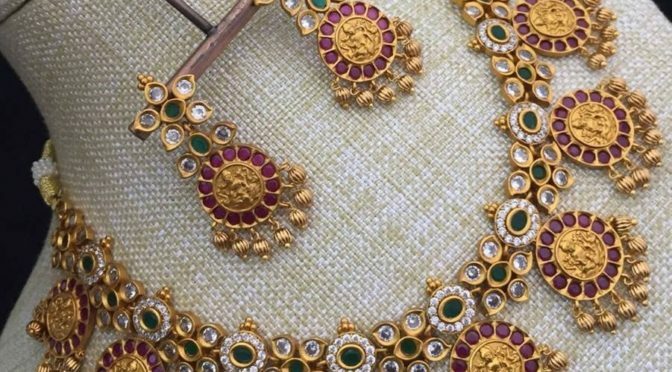 One gram gold matt finishing lakshmi kasu studded with rubies , emeralds and white stones.